The Stars Came Out In Vegas -- Now it's Your Time to Vote! February 4, 2019 by High Desert Frameworks! 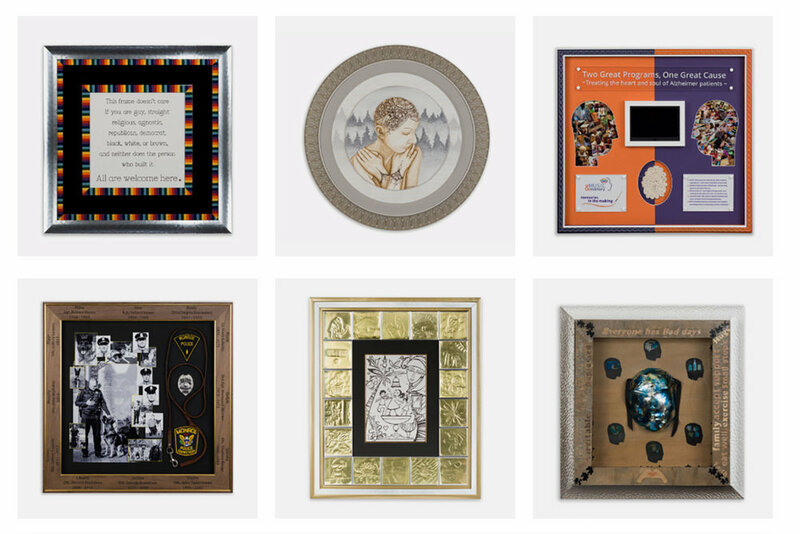 We are honored to have been selected for the 2019 Tru Vue All-Star Custom Framing Competition that concluded last week during the International West Coast Art And Framing Expo held in Las Vegas. Custom picture framers from around the world attending the annual trade show voted Myrna Dow’s creation as their favorite! Now it’s your time to vote for the Social Media Fan Favorite Award! If you want to vote right away visit “RAISE YOUR GLASS - Elevating the Artists Who Elevate the Art.” We can’t disclose which creation is Myrna’s so you will need to click on each image and read about why the artist’s piece is so special and why they are passionate about the cause they are featuring. If you know Myrna and her dedication to her favorite cause it won’t be too difficult to select her creation. We would be honored to receive your vote and for you to share the post with your friends. Award prizes will help fund Myrna’s dedication to a new “Quilt Therapy” program in 2020 at the Sisters Outdoor Quilt Show and her love of the Annual Wish Upon A Card Event. Here are the six 2019 All-Stars — Click on the image, explore and then vote. Voting ends February 11, 2019. We encourage you to explore the journey that has taken Myrna to this point and after your quick read don’t forget to vote! Myrna is not shy to custom picture framing competitions. You can read about prior awards here: Awards.